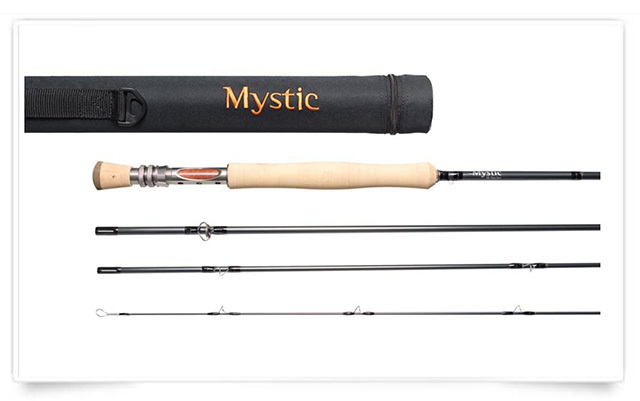 I recently fished Mystic’s new fly rod offering, the Reaper X. 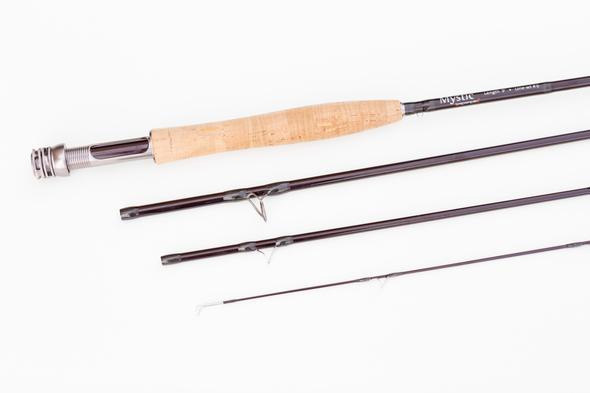 It picks up on the last generation – a very good fly rod to start with – and adds both blank and hardware refinements. The most notable improvement is that the X is responsive throughout the entire casting stroke, so line load on the back cast is not just apparent, but easy to feel and quantify. The 5-weight model has just enough backbone to handle both moderate winds and mid-sized streamers. I found the Reaper X slightly supple, considering that Mystic bills it as a tip-flex fast rod, but longer overhead casts with weighted nymph rigs only required the usual open loop and a minor adjustment to the casting stroke to successfully address distance requirements and eliminate tangles. Tracking, casting accuracy and fish playing is where this rod really excels. The blanks casting recovery rate has been improved, which allows fairly accurate fly placement, even at medium-long range. This is also a rod that is very comfortable to fish throughout the entire day, which I increasingly find to be an uncommon attribute when it comes to more rapid blanks. This is an American-made, light, compact fly rod with outstanding, modern componentry that will allow you to address a wide range of fishing challenges. More specifically, if you’re a dry fly enthusiast that occasionally requires a mid-to-high degree of backbone, the Reaper X deserves a detailed look. On a very different note, I also fished a Mystic’s M-Series Nymphing rod. M-Series freshwater rods are designed to load well into the mid-section of the blank: these are finesse instruments that cast exceedingly well at close to medium range – so they’ll assist you in getting that fly precisely where it needs to be. More importantly, they’re conceived primarily for fly line management and exceedingly sensitive strike detection for the intimate quarters that make up much of a nymphing day. The 4-weight, 10’3” configuration I fished has a very supple tip (as expected) and light swing weight and is the typification of a task-specific instrument – one that the average “all-purpose” fly rod will never supersede. This is a go-to rod when you’re approaching edgy, fussy and hesitant fish. M-Series rods feature buttery-smooth, balanced blanks with uniform spines, and premium grade hardware and cork handle, and the blank sports an extra-hard finish. This feature-rich package would normally push the M-Series into the $650 range. Mystic has priced the M-Series well below that.